Yesterdays prompt was Iconic. 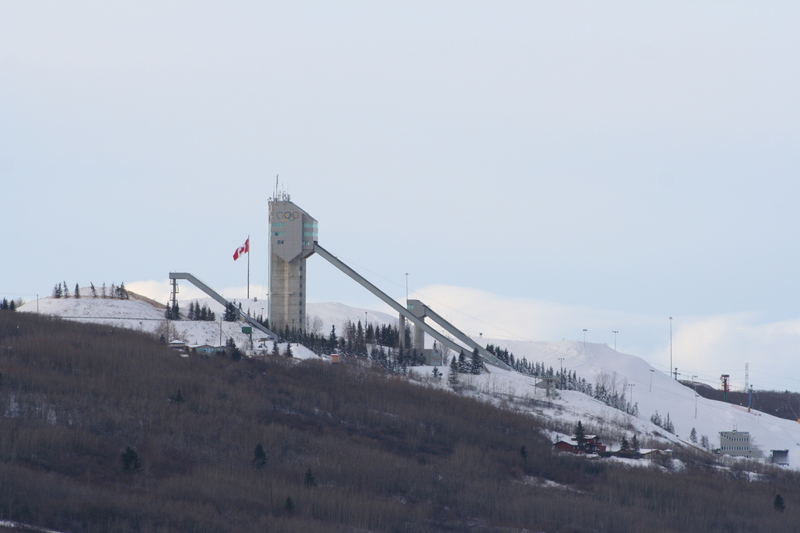 I think Canada Olympic Park is pretty Iconic for Calgary, as well as the mountains. Here are my two shots. This is my favourite one, it needs the branches edited out, but I’m too lazy for that, so you get it how it is. last night I was thinking I would go out early this morning and take another one with the morning sun on the mountains. I didn’t get out of the house until 9 am this morning, and I figured that would be too late for what I wanted, so I didn’t take the camera. Sure enough it would have been the perfect time. Oh well, maybe next week I’ll get that one.